Comments: Mary Etta Shaffer (Nee: Lashmet) | Ks | 1901-1920 | Comments: This photo is also professionally created and presented in a heavy stock protective sleeve. Handwritten note on cover:''Grandma Mary Etta Shaffer, Kansas, 1920's''. 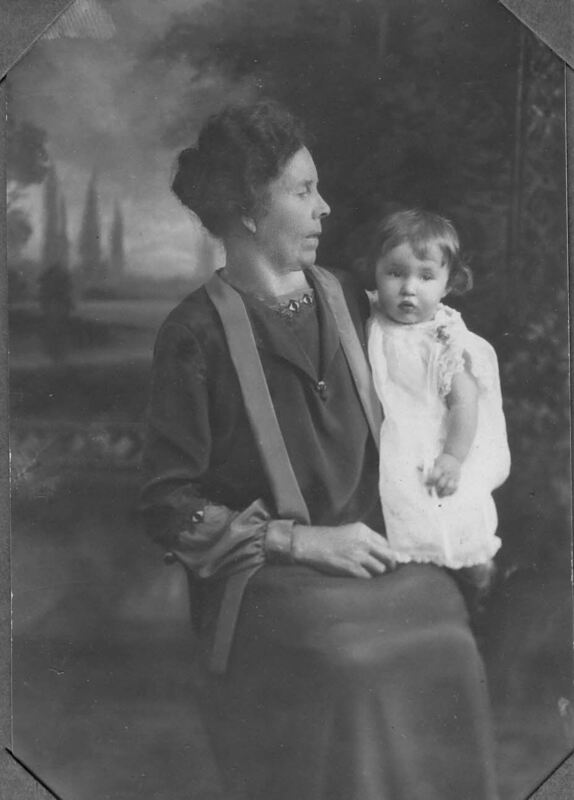 It is unknown who the child is in her lap.